A quiet community close to Rhode Island’s northern border, North Smithfield has a population of just over 12,000 residents. They are part of Rhode Island’s statewide ePermitting initiative–the first of it’s kind to implement the same permitting software in state and local levels at the same time. Local government officials who have been through new software implementation know it can be a frustrating process. Migrating data and training employees can mean disruption for the office and falling behind on work. Some software even requires hiring coders, taking months or even years to install. For North Smithfield, the entire purpose of ePermitting software was to make their processes more efficient. They needed something that wouldn’t weigh them down with a long, complicated setup. All the pieces fell into place with ViewPoint Cloud. Rhode Island’s statewide initiative with VPC meant training and form creation could be repeated seamlessly from community to community. Shawn Selleck, Project Manager with Rhode Island’s Office of Digital Excellence, worked with North Smithfield Building Department Officials and ViewPoint Cloud’s support staff to a record breaking launch of 30 days. “My experience working with the team has been very positive. The support and openness to hear our proposals has always been there, and they deliver on their promises for addressing issues and building additional functionality,” says Selleck. 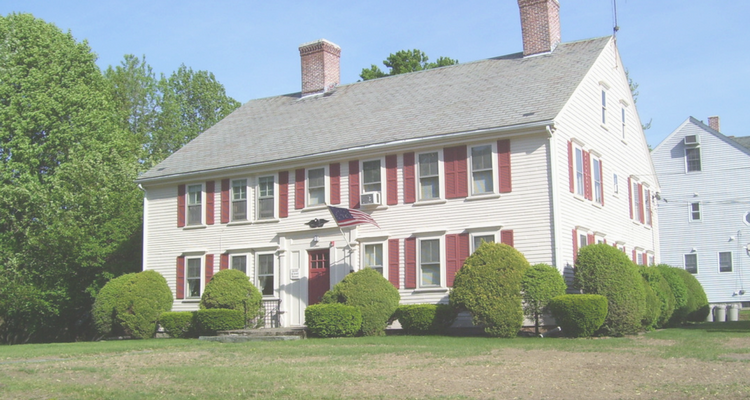 After just one month, North Smithfield’s Building Department was accepting online applications for permits and licenses. Through ViewPoint Cloud’s storefront platform, the public can now visit their website and apply from home, or apply on a computer in the Building Department Office. The new system was quickly approved by the North Smithfield Town Council, who see how ViewPoint Cloud will make citizen services more efficient, accurate, and user-friendly. In the first week after going live the Building Department had already received 31 online applications–keeping up with their regular intake and speeding up their review and approval processes. North Smithfield plans to bring ViewPoint Cloud to other town departments, replicating their quick, seamless training and integration. Through Rhode Island’s Statewide ePermitting Initiative, North Smithfield and communities across Rhode Island are showing their commitment to outstanding public service. They know that 21st century citizen service means world-class technology that makes government more efficient and accessible to the public. ViewPoint Cloud is proud to partner with local government leaders like North Smithfield, who are setting an example for government innovation across the country.